Video is a powerful medium for spreading ideas. Over the past four years, TED has posted over 800 TEDTalks on Ted.com and YouTube. 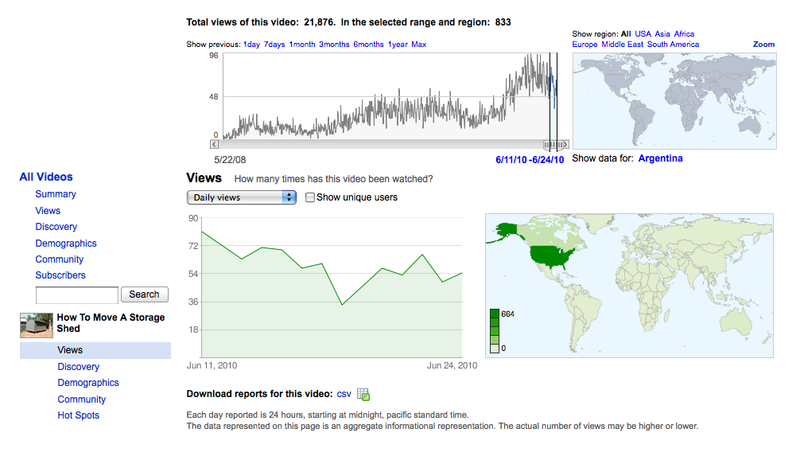 We’ve been thrilled to see the world respond — watching the videos more than 375 million times. Our mission — of spreading ideas around the world — is supported in part by advertising. And we believe that advertising should evoke the same emotions a TEDTalk does — it should make you think, make you respond, make you want to share — a great idea, a product that makes the world better, an initiative that might change the world. 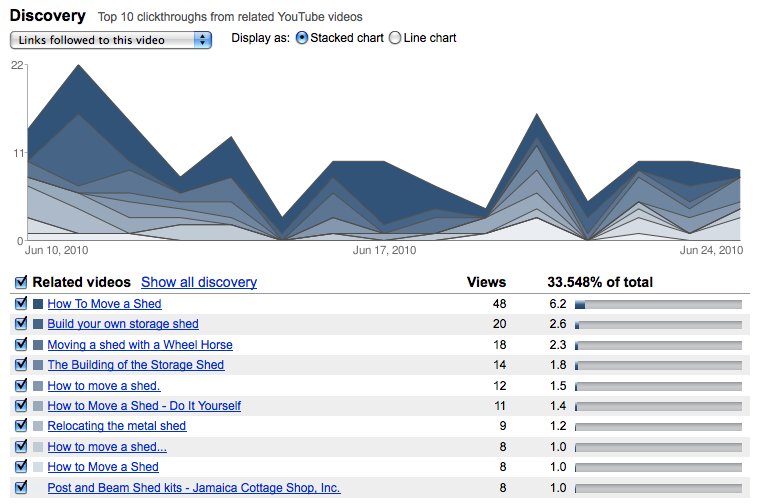 Like YouTube, we want to see the same level of passion in online ads as we do in our TEDTalks. So, we’ve created a challenge called ‘Ads Worth Spreading‘ to solicit the best ads that raise the bar, elevate the craft and invent new forms of online engagement. Converting purely commercial messages into contagious media sounds like the quest for the Holy Grail to me. Although I wasn’t able to attend the original webinar, watching this video at a time that was convenient for me was the next best thing to being there. I look forward to seeing more webinars like this one on the Google Business Channel @ YouTube. Google and the Wharton School (the oldest business school in America) have joined forces and formed Fast Forward an online resource for educating and empowering marketers. Google and The Wharton School have partnered to gather and provide quick perspective on managing the change in the marketing landscape. As we explore what will define success through marketing’s continual evolution, we aim to share ideas and lessons learned to help keep us all better informed and effective as the game – and conversation – rapidly progresses. The following Google Experiments in Digital Creativity is an example of the content now available from the Google Wharton school Fast Forward project. 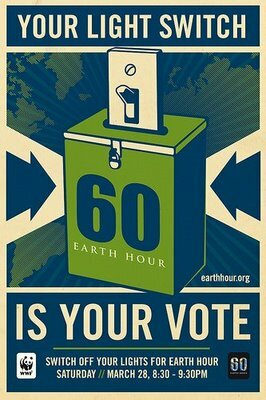 Cities around the world are participating in Earth Hour on Saturday, turning off their lights to raise awareness for energy conservation. The French city of Paris has participated in Earth Hour by turning off the lights of the Eiffel Tower. Built on Google App Engine, Google Moderator lets Google conduct conferences with an audience of thousands in its offices around the world. Managing Q&A with a large audience presents a unique challenge. Google Moderator gives participants a way to submit questions and then vote for the ones they want answered. Utilizing Google Moderator, the White House will be hosting an online town hall meeting on Thursday and has asked people to submit questions for the President and vote on which ones they think he should answer. 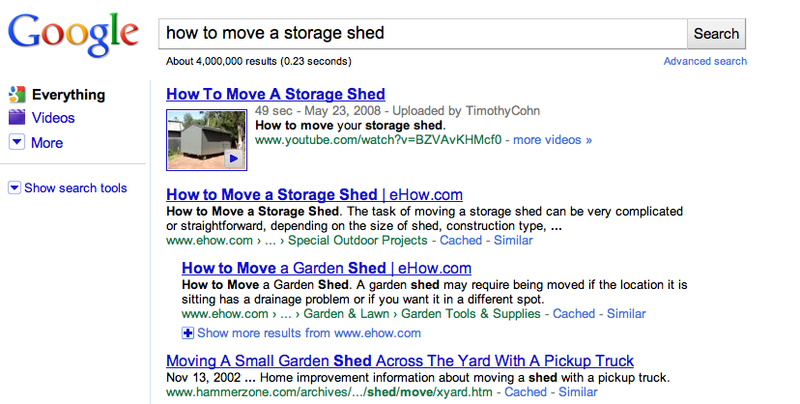 Google Adwords continues to add a variety of “How To” video tutorials to the Google Business video channel on YouTube. This quick video shows how to copy and move items within an Adwords account using Adwords Editor. The Central Intelligence Agency is recruiting via Sponsored Videos on YouTube. 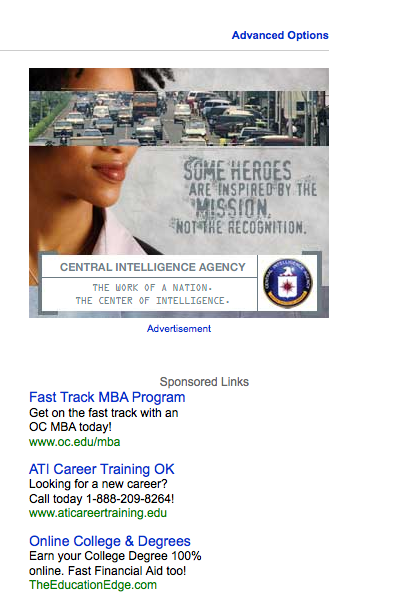 I wonder who manages the search marketing campaigns for the CIA? Does the Central Intelligence Agency manage their search marketing communications process in house or do they outsource their search marketing to a search marketing agency? I didn’t discover the CIA video under a search for the Central Intelligence Agency or CIA. 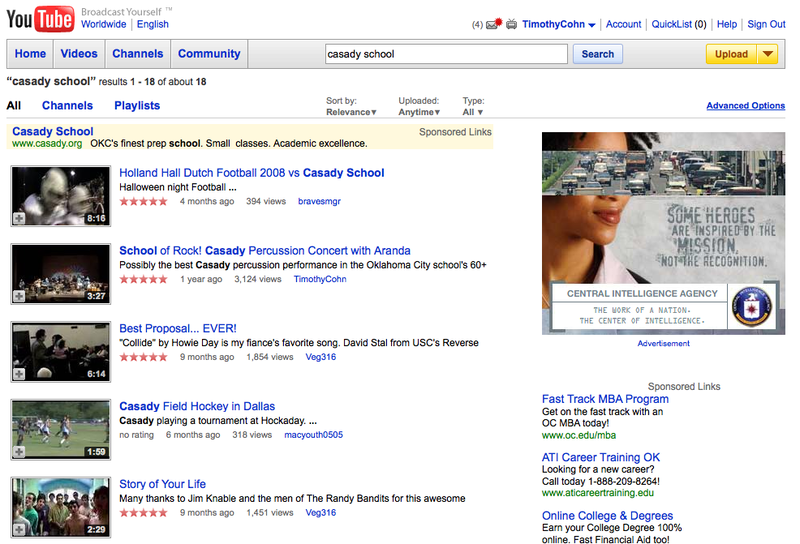 I stumbled onto their video under an entirely unrelated education industry keyword. The CIA or their search marketing agency don’t appear to be marketing their recruitment program under CIA or Central Intelligence Agency keywords in YouTube. Nor do they appear to bidding for the CIA or Central Intelligence Agency terms in Google search either. Double Click is serving the Central Intelligence Agency’s Youtube Sponsored Video ads. Double Click is owned by Google. If you have an interest in pursuing a career with the CIA click here for more information. 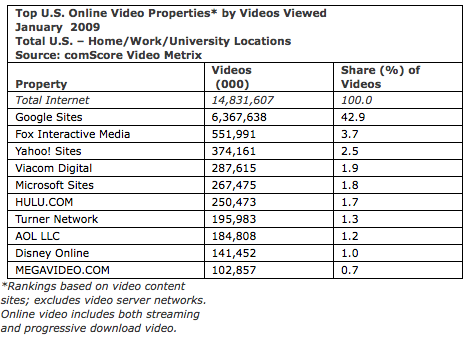 comScore reports Youtube surpassed 100 Million Viewers for the first time in January 2009. 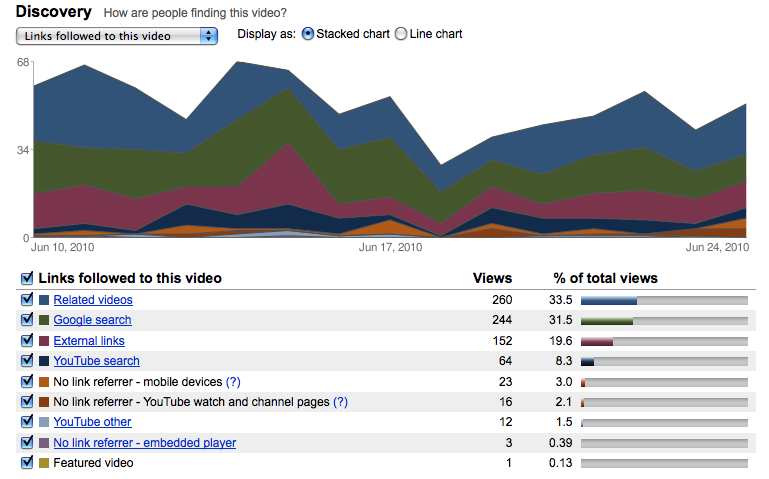 14.8 Billion videos were viewed during January 2009, with Google sites including Youtube accounting for over 6.3 Billion videos viewed. More than 147 million U.S. Internet users watched an average of 101 videos per viewer in January. Google Sites grew to 102 million online video viewers during the month, or more than two out of every three Internet users who watched video. 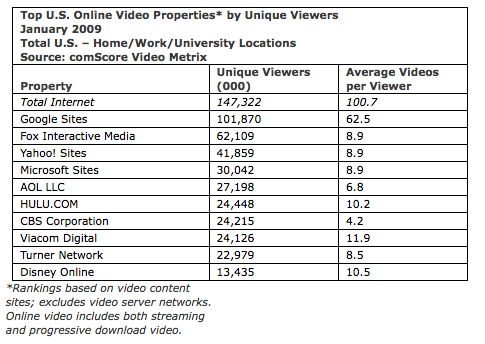 Online video watchers are not like the television viewing audience. The average video watcher viewed only 3 1/2 minutes of video online. David Pogue with The New York Times recently created a list of innovations Google has produced or bought in its relatively short corporate history. His list consists of Google products most any consumer who has been online in the last year would recognize including Google Earth, Gmail, YouTube and Blogger. Some of the lesser known Google products and tools mentioned in Pogue’s New York Times article are: Google Docs, Picassa, iGoogle, Google Reader, Google Trends, Google Maps, Street View, Translator, 1-800-Goog411, Google SMS, Google Alerts and Google Sets. Although the article begins by mentioning Google’s search box, Pogue doesn’t mention the greatest commercial result to come from Google’s search box by name: Google Adwords – arguably without which – none of Google’s other products would exist. Maybe therein lies the keys to Google’s success.